I had my first computer in 1981. Wrote my first code that same year, I made a short animated video game. Had my first modem in 1984. I was chatting online before anyone even knew what it was lol My friends thought I was out of my mind ;-) Your'e talking to someone in Florida!? On the computer? Well that was a long time ago...times have definitely changed, except for my love of technology. In my early 20's, I began a career as a Copier Technician. I had a few side jobs, working at computer shops, building custom systems for people. In the early 90's, when analog went to digital, I was ahead of the curve with my background in computers. It was the first time you could print from your computer to a copy machine. Sounds funny now but before copiers became digital, it wasn't possible. Fifteen years later, as a senior technician, I was began to burn out. I started with a tool bag full of tools, by the end I only needed a screwdriver and a rag, the challenge was literally gone and so was I. With a background in art, it was at that time I began painting. Had a few art shows in Palm Beach back in the early 90's and really enjoyed painting, although it wasn't paying the bills. In 2000, I was hired by a company to fix the copy machines they acquired from leasing companies. For the next 5 years I found myself back in the technical world, learning about all different types of machines, from high end printers, to million dollar call center equipment. The knowledge I gained in these 5 years was enormous. Networking computers, setting up phone systems, designing databases, it was a great experience and I made quite a bit of money. But that too came to an end. I had just inherited a 1/3 acre of plants from my neighbor, on the acre of land I bought in N.Miami. One thing lead to the other and my love of plants had finally had an outlet. I began designing the landscape on my property. Next thing I knew I had two more jobs from my neighbors who wanted their properties landscaped. As the stock market crash was upon us I had went off on my own and was doing Extreme Plant Care for 20 clients in Boca Raton. My business was doing great and then it happened. Crash boom bang! It only took two weeks before I had lost every customer I had. Now what? Well I decide to sell everything I owned, I bought a 5x8 trailer and headed up to Vermont, a place that has always given me a good vibe. I used to go there as a kid and skied there many times. I did a stop over in NY for a month to work and get some cash. It was just me and my dog at the time. My plan was to find some work on a farm and continue with plants and nature. Well to make a long story short, Vermont had everything I needed except for money. After a month of searching for a proper job I decide to go back to NY and find a job as a landscape designer. With a few months of no real luck finding anything, I made a bold move. I was going to get my degree in Horticulture! Best move I ever made. 39 years old and heading back to college...good times lol 2 1/2 years later, I had my degree! Then I made the boldest move yet, I decided to leave the country to be with a woman I met and fell in love with (on Facebook lol). I also decide to get my bachelors degree, so I found a NY state school that had online degrees. In Sept of 2012, I began my degree in Holistic Design (a degree I actually designed). In 2014 I had my B.A. What happened next I would have never guessed. While in Vermont, I met a guy who made these cool chairs out of fallen cedar. I had an idea that maybe we could make his chairs using Bamboo, since Bamboo is everywhere in the Philippines, I figured it would be pretty easy to work it out. He loved the idea and gave the project a go. After a few months we began to realize that the Philippines wasn't the answer. My cousin had been living in Vietnam and suggested to take the design to a few local factories. In about 3 weeks we found one that was able to produce what we needed. This was the biggest project I have been involved in. With no prior experience to fall back on I had to rely on all the different jobs I had over the years to come together and give me that experience in an abstract form. Well everything was successful on my end unfortunately my friend lost his investor. Push came to shove and I found myself back in the Philippines. All the while I was in Vietnam I had been creating new bamboo furniture designs and decide to build an E-commerce website selling only bamboo products. Dragonfly Bamboo was born and is still evolving today. Over the years I had used Dreamweaver to build the websites for my business. It was when I made the site for Dragonfly Bamboo that I came across Squarespace. What Squaresapce offered me was a way to build sites quickly and since I was build such a large site, it was the perfect solution to add products and partners products quick and easy. With so many templates to choose from I was up and running in no time. Since 2015 I have made over 20 websites using Sqaurespace. Beyond the beautiful look of a SS site, their customer service was above and beyond any that I have had to deal with before. Living in the Philippines doesn't offer much in the way of work for a foreigner and building websites has given me the opportunity to be with the girl I love and be able to support myself at the same time. 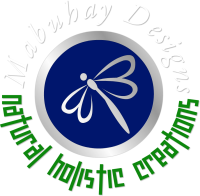 So here I am, 5 years living in the Philippines, building websites. I have also done several Landscapes but for a foreigner there isn't much profit in it, I mainly do it because I love creating. As for Photography, it is something I have always done. My grandfather had a darkroom back in the day and was an avid photographer. In 2014 I took a few photography classes to learn a little more about the technical aspects of it. Being in SE Asia has given me many opportunities to take some amazing photographs. I guess my background as an artist helps also. Having artistic and technical talents has gone a long way in helping me create, whether its a landscape, websites or photography, I have the knowledge to take my designs from paper to reality with ease. So there is my story, I would love to help you create something amazing and I look forward to the opportunity to do so.